Hiring a medical billing company is a very crucial decision and involves a broad range of evaluation factors. The factors to be considered may include previous experience, communication effectiveness, accuracy rates, and revenue cycle management. However, one factor that is considered by many healthcare practitioners the as the most important one is the price charged by the medical billing services company. While the importance of this factor is undeniable, some practitioners might be going after the apparent price difference. Doing so could mean a much higher price in the long-term. This article explains how medical billing services charge their clients and what additional things the healthcare organizations need to consider in evaluating the cost. Under this model, the medical billers charge a certain percentage on the money they collect per month. This usually not done on the amount the bill the customers, thus the billing company will get paid only if the healthcare service gets paid. This is a good model for those practitioners who have high denial or unpaid claims ratio. The rates charged by various companies could range from 3-4% to 15%, depending on patient volume, types of cases handled and amount of total receivables. Some medical billing services offer a second option, or they might only offer a fixed rate per claim. Thus, the rates are charged on the number claims processed not on the amount collected. This is normally the case when most claims are clean claims or the practice does not want a full services solution. The rates charged could range from 50 cents to 10 or 15 dollars per claim, depending on the complexity and the average amount per claim. 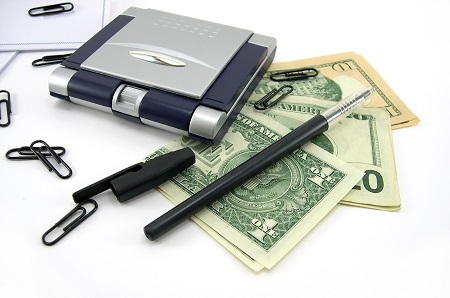 Some billing companies offer medical billing solutions on an hourly rate basis. This method is plausible for large-scale practices and hospitals with normally standardized claims, and where roughly the same number of claims is handled per hour. The billing companies often hire staff who dedicated to a single client. The hourly rate would vary from client to client and would be calculated during negotiations based on historical data, and future predictions. This last model may be applied for chains of hospitals or services where the various sub-units are of different sizes and with different kinds operations and services provided. So, a single organization may have negotiated a mixed model of pricing for its differing requirements. Their might even be cases when there is a certain fixed rate per claim and then a percentage on the amounts collected. While calculating the total charges paid to the prospect medical billing services providers is a simple task. One simply has to multiply the rates provided with the relevant expected volume, be it the number of claims or the amount received. And these predictions can be fairly accurate. However, comparing the various service providers just on the basis of fees charged might be a dangerous thing to do. Some medical billers charge meager rates, but they may be just going after the easy targets when it comes to handling claims.P3 Healthcare Solutions, with its effective denials and appeals management, and care given to patients declaration and calls, ensures that you receive the maximum reimbursements possible. Furthermore, the accuracy rate of billing services providers could have a huge impact on the receivables. Mistakes during the coding and billing stage could lead to costly delays and even denials. This results in fees receivables pile up on the docket; huge amounts of money that could have been reinvested into your practice. Thus a medical billing service might be offering you 2% of collections or just 10 cents per claim, but if you factor in other issues, you might be paying a much higher price.